Medical Acupuncture is a research-based therapy that is used to relieve pain, reduce inflammation and promote the body’s natural healing response. It is a precise technique in which acupuncture needles are inserted into anatomically-defined neurofunctional sites and stimulated manually or with an electric current for the therapeutic purposes of modulating pain and other dysfunctions. This process stimulates the nervous system to release chemicals (endorphins & seretonin) in the muscles, spinal cord and brain. These chemicals can change the experience of pain and will trigger the release of other chemicals and hormones, which influence the body’s own internal regulating system. 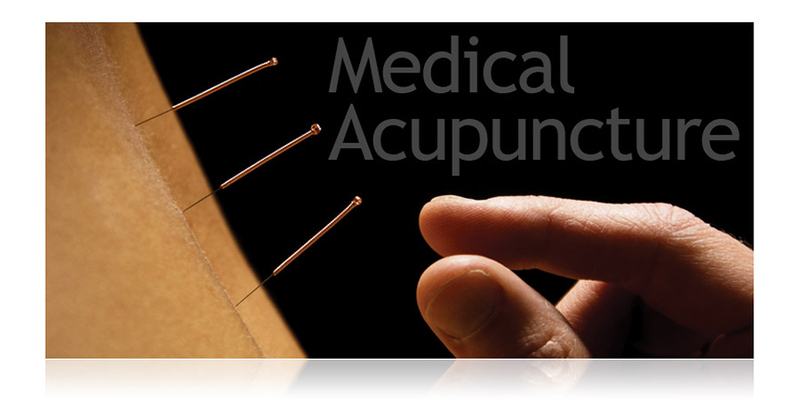 Medical Acupuncture is a safe, effective and often painless therapy. The scientifically proven benefits of acupuncture include: pain relief, improved blood flow, inflammation reduction, stress reduction, improved range of motion, improved nerve conduction and improved organ function. Natalie Brundige, RMT is a graduate of the McMaster University Contemporary Medical Acupuncture Program. This extensive course focuses on the science and neurofunctional-based application of acupuncture. Based on her extensive knowledge of nerve and muscle anatomy she will select needle insertion points to further her clients treatment in adjunction with her registered massage therapy treatment. The goal of her Medical Acupuncture treatment is to provide a clinical improvement in your symptoms through the activation of the body`s natural pain control and healing mechanisms.